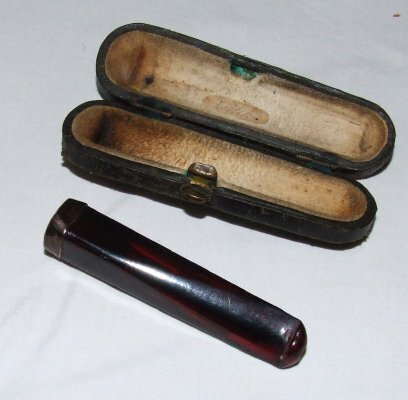 Description Small leather case with a cigarette holder inside. 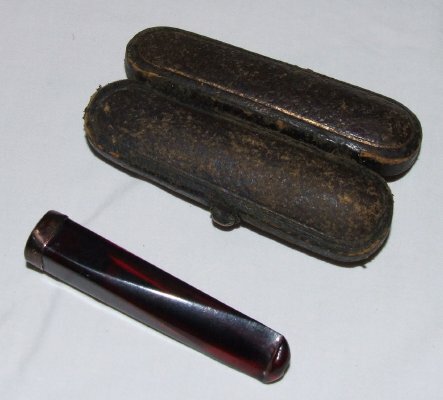 The case is leather and the holder is red in colour, not glass, more like kauri gum. This object has no Picton Museum unique number to cross reference with.